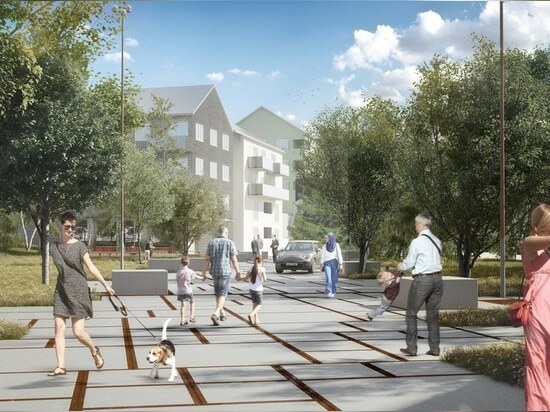 Upplands Väsby municipality is investing heavily in the development of the central parts of the municipality and in its public places. 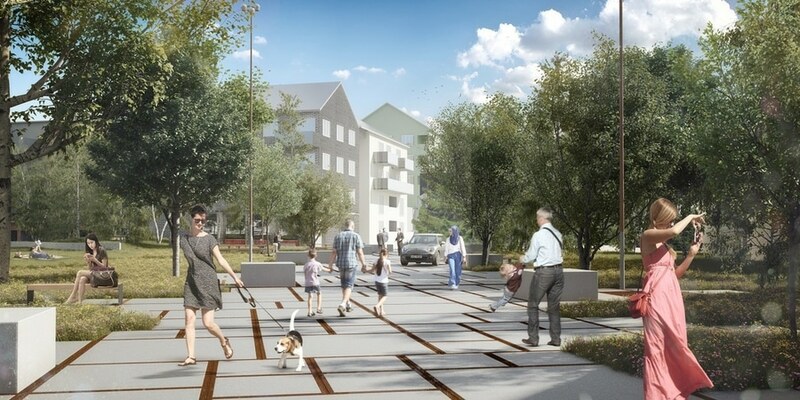 In the next few years, Fyrklövern area is under construction with 1,500 new homes with associated services, a new park, streets and squares - "a transformation from suburb to modern small town", as the municipality writes on its website. 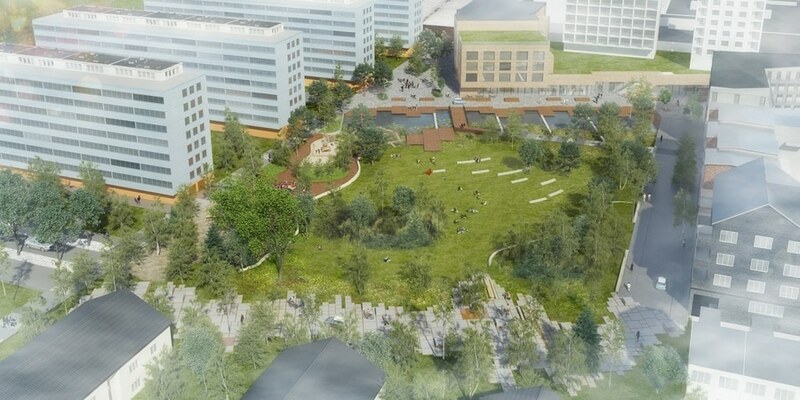 Blåparken (The Blue Park) is an exciting project which will see the existing site completely rebuilt, some existing trees being preserved, and some very large trees replanted. 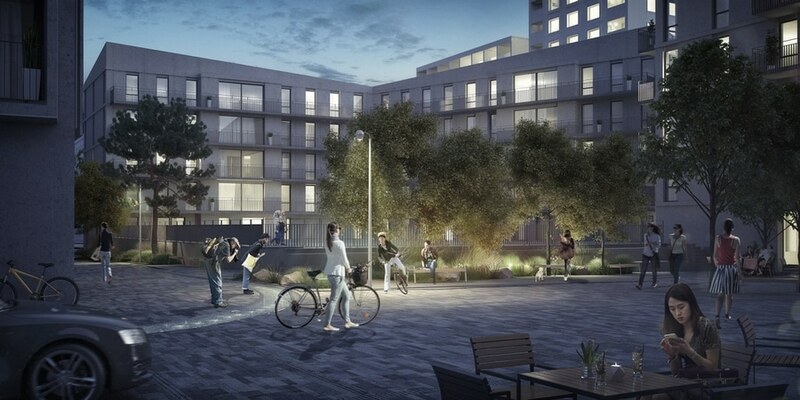 Geographically, it is at the ends of a wide walking and cycling path which runs through the quarters of Fyrklövern. 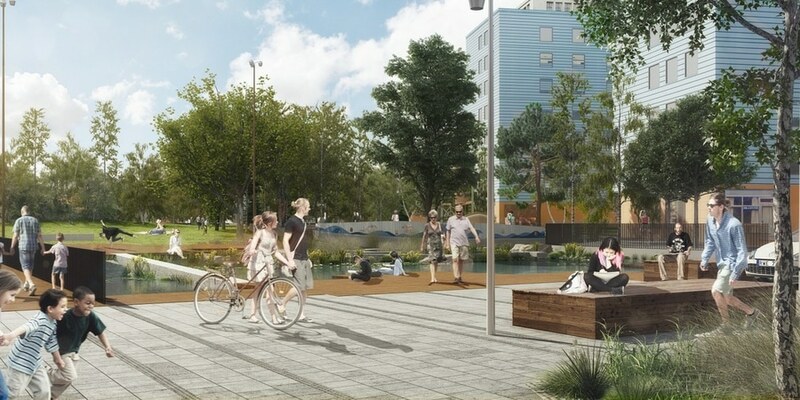 It is also the lowest point in the planning area, and the focus on the program and design work has focused on stormwater management and ecosystem services. 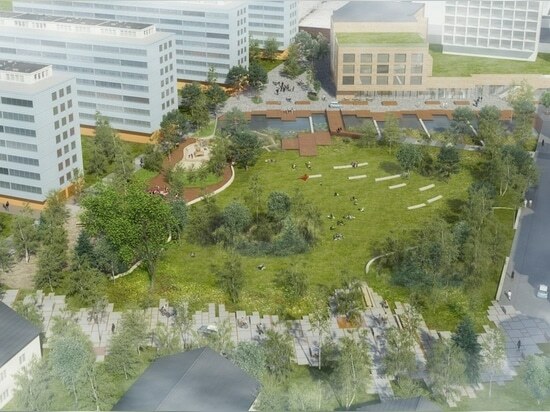 The proposal includes a large stormwater pond in the northern part of the park and large proportion of green permeable surfaces. The greenery consists of buffering water plants, prickly flower plants, meadow vegetation, and an open grass area in the middle of the park, which invites spontaneous activity; and in the southern part of the park there are groves of green vegetation. There are two paths running through the park which are designed for pedestrian use. 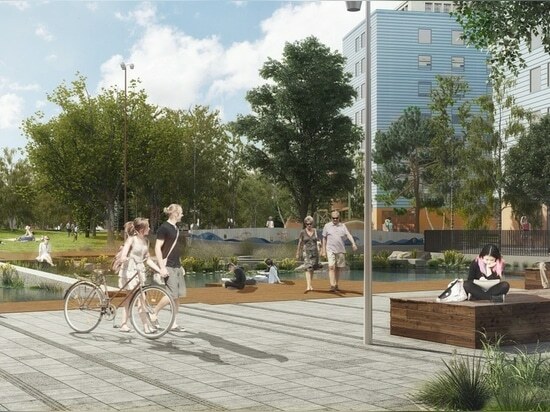 An extended boardwalk connects the stormwater pond and the rest of the park to the Square in Väsby Centrum. 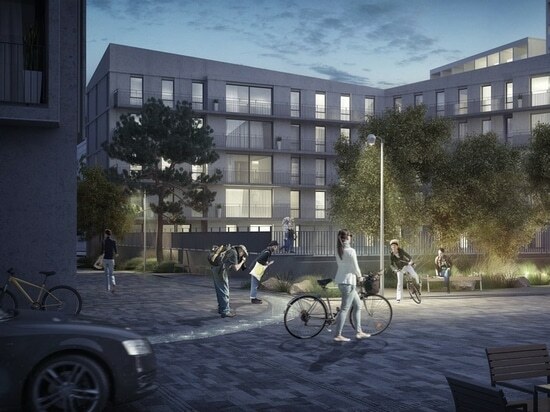 The south-facing part is expected to be a delightful space for all visitors to enjoy.